I’m really not sure why I play anymore. Another bad level. 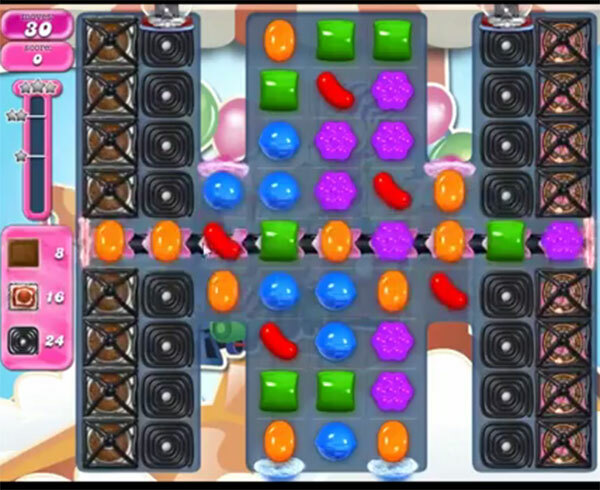 I’ve used bonuses, and the level keeps locking up, and filtering the candies through, and I have to shut down. Not fun!! 1713 completed! Several boards! Break some licorice, use stripped candies to break grills that releases chocolates, after all licorice is gone frosting blockers appear. 1713 a tricky level break x on chocolate and spawners …spawners then release blocks .i did this level without extra boosters. But I did make Coloured bomb with wrapped candy which helped release spawners/ blocks . Cannot get the walkthrough to come up for this level. No idea how I did it, but completed on 2nd try. Where is the video to show how this level is completed? Who is the evil person creating these games, level 1713 is awful. No longer fun to play. No strategy you just have to hope for a lucky board. I passed on 2nd try , I used a check mark booster. The licorice and chocolate are very easy to get, worry more about the frosting try to let it build up some . make stripes to clear licorice from the clocks. A check mark booster is a great help.